I entered Elon’s iMedia graduate program a year ago as Brook Corwin. I graduated last week as Bruce. Bruce was the name my professor mistakenly called me when grading one of my very first assignments. Bruce was the title almost immediately adopted by my classmates for every presentation, project, social event, or intramural sport. Bruce was the sound they all chanted as I was being hooded as an M.A. recipient. It made me smile every time, especially that last chant inside Whitley Hall. Because Bruce, in so many ways, was very different than Brook. He was a vast improvement. 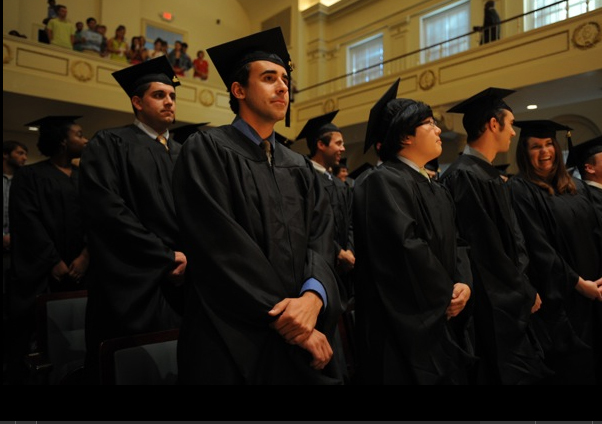 Looking back over the Elon iMedia program, reinvention stands out as the most common theme. The 36 of us each came from some degree of academic and/or professional success. But no one made it through the year with sheer curiosity as the primary motivator. Everyone was seeking a way to reshape their talents and redirect their career trajectories. You arrived as one thing, and left with a whole extra dimension. Need some evidence? As exhibit A I present my only pre-iMedia attempt at building a website. As my college roommate aptly put it — it’s like a clown threw up a rainbow. Yet less than two-thirds of the way through the program, I had already learned how to compile html code without sacrificing design in the process. The OI Panama website I designed along with one other classmate dialed down the color, spotlighted the content of my group’s winter term project, and eclipsed in one page the sum of all my previous web work combined. By the program’s end, I was flying solo on multimedia, creating on my own an Interactive website and video to promote an upcoming biological field guide. Along the way were numerous projects that served as mile-markers in the development: •interactive research presentations on the digital divide, public opinion on the environment, and location-based information. •managing the production of videos featured on an educational DVD being distributed to journalism schools. •working with a group to create a media kit and promotional video for a multimillion dollar fundraising campaign. The media milestones weren’t limited to classwork. The skills I learned translated to a number of successful projects completed on my own time, from building a freelance website for an economic development campaign to shooting a Yoplait commercial with a group that was purchased by the company to documenting the exploits of my pet cat for entertainment’s sake. These are not things Brook could have ever pulled off. Bruce was in a different league. My classmates underwent similar transformations. Take a look at the gallery of their capstone projects and the results are evident, especially since many came in with little to no multimedia experience. That’s not even counting some of the program’s best projects, including multimedia websites for small businesses, commercial brands, non-profit organizations, and universities. The iMedia program was far from perfect, with flaws that manifested themselves mostly when assignments lost direction. But when focused, its curriculum serves as a testament to the power of interactive media to reinvent communications professionals. Technological advancements have lowered the learning curve, and even those with no experience can quickly harness the digital tools with a little dedication, desire to learn, and a willingness to become someone new. More than three years ago, I was navigating the sensory overload that is Times Square when a rather ordinary print billboard managed to stand out among all the digital clutter. The advertisement touted Ajira Airways and was nondescript in just about every way — except that I had never heard of Ajira Airways. Crunched into Times Square’s abundance of flashy advertisements and noise, it’s minimalism was striking. And then there were those numbers scrawled along one of the corners, looking like graffiti at first: 4, 8, 15, 16, 23, 42. If you’re a fan of the hit television drama Lost, you know those numbers are not random graffiti. They’re the giveaway clue that Ajira Airways is yet another in an intricate network of fake websites, videos, companies and characters deployed by Losts’ producers to deepen the show’s mythology. It would be another two seasons before Ajira even emerged as a major plot point. By then, the observant and obsessed contingent of Lost’s fanbase had already noticed the billboard and grown familiar from Ajira through its website. Lost’s commitment to multi-platform storytelling isn’t unique. More and more programs are expanding from television into multimedia platforms to richen the viewer experience. It’s a method taken to extreme lengths with The Matrix Trilogy — which incorporated anime, comics, video games and websites as supporting narratives in the cannon of the three films. Today the producers of dramas like Lost and comedies such as How I Met Your Mother create dummy websites and videos so the virtual world inhabited by their characters if more fully realized. It makes for some neat content, and it plays right into the trend of participatory storytelling where the audience seeks out new information rather than just sits back and listens. Presentations from several of my classmates this semester have detailed the ways these programs seek to interact with their most avid viewers using online media. But does it serve the television show? That’s a tricky objective that requires a precarious narrative balancing act. Duplicate the same stories from the TV show and you’re just wasting space. Offer too much new information on alternate platforms and you risk alienating viewers who now can’t make sense of the show because they didn’t follow all the websites. This was a critical hang-up with the latter two Matrix movies, as they glossed over key parts of the story that were addressed through other media channels. Even Lost has scaled way back in its use of supporting media. In early seasons there was not only a fake website for the mysterious Hanso Foundation that was referenced in the show, there was also a television commercial and even a late-night TV interview with a “spokesperson” of the fictional foundation. But as the program winds down to the season finale May 23, it has put all the focus on the show itself being the conduit to provide answers for all of Lost’s questions. And maybe that’s where supporting media falls short. It’s wonderful in building intrigue and mystery by fleshing out fictional worlds. But when it comes time to closing a narrative, the entire audience must be on the same page. A comedy can get away with supplemental content online because it won’t ever be necessary for casual fans to get the jokes. But a serialized drama can’t give away big secrets to only the fans who search for clues outside the television screen. Even the most elaborate stories need a single place to conclude. If every communications platform got judged by the standard we imposed on Twitter, they’d all be rendered trivial. Newsprint would just be a forum for gossip and sleazy scandal. Projectors would just be the vehicle for brain-dead dialogue and needless explosions. Telephones would just be a conduit for endless teenage chatter on the superficial. All those mediums get used for such trivial purposes. A lot. It doesn’t make the medium itself trivial. Instead we recognize all the groundbreaking journalism, innovative films and meaningful conversations that are facilitated as a result. Twitter too often doesn’t get that appreciation. Because it’s used so often to broadcast meaningless minutia, the general public renders it silly before they stop to see all the benefits of good tweets. And there’s plenty of good. Twitter is it the most effective way to share links and information with colleagues. It is unrivaled in delivering instant reactions to breaking news. It establishes a direct connection between public figures and their fans that bypasses all the old filters. Even the worst cases of narcissism it inspires can have value as pure entertainment. Given Twitter’s often under-appreciated status in the public sphere, it’s nice to see our government recognizing its potential. The National Archives announced last month that it will start saving each and every tweet sent from a public account (those with privacy settings won’t be gathered) and preserved for posterity. It’s the type of thing that has inspired instant snickering. Even my iMedia class, which has produced some outstanding research presentations on the value of social media marketing, reacted to the news with many a smirk. But block out the mundane quality of boring tweets and take the macro view for a moment. When in history have we ever had a larger collection of public views, opinions, thoughts and feelings all recorded? Sociologists and historians no longer have to extrapolate from anecdotal evidence on how certain publics reacted to critical events. There’s a wealth of primary source data that is easily searchable. It doesn’t represent all of society, to be sure, but for certain demographics it provides the kind of in-depth look into our culture and collective pulse to a degree expensive surveys only hoped to reach. That group even includes prominent political figures. What scholar wouldn’t want to preserve their reactions to critical events in the country’s history? Don’t discount Twitter’s potential for political change either. The protests in Iran last year organized through Twitter are the most prominent example, but you don’t have to go across the world to see an impact. Now that tweets show up in real-time search engine results, they have the potential to instantly shape what information (or misinformation) is spread. A research paper on how this may have been a crucial factor in Scott Brown’s upset victory in this year’s Massachusetts Senate race was presented at last week’s WWW2010 Conference in Raleigh. Of all the papers from researchers across the globe featured at the that conference, it was the one Word Wide Web Founder Tim Berners-Lee immediately cited when asked what study most interested him. Of course this post comes to you from an unabashed Twitter fan since 2008 who now has two accounts, one for my professional interests and one for personal interests. Am I overselling the medium? Are there ways that Twitter falls far short of other mass communications platforms? Asked the doozy of a question “what advice would you give young developers?” at the international WWW2010 Conference last week in Raleigh, Tim Berners-Lee gave a fairly generic response about joining up with organizations seeking to improve the world online. If you read that comment out of context, it’s not very striking. But if you were with me in the audience that afternoon, then the remark immediately connected with the mantra uttered by numerous speakers that week. Open source code = beneficial for the public good. Proprietary code = detriment to society. It’s a sentiment that isn’t just playing out at tech conferences. The belief in open source is the rallying cry that has the multimedia world buzzing about the supposed death of Flash. For a web purist, anything other than a universally accepted code puts a commercial roadblock between developers and their audiences. In 1,000 years, as Internet pioneer and Google VP Vint Cerf remarked during the conference’s keynote, the information held in that code might be unreadable on modern devices and thus lost forever. But it’s not open sourced purists who have struck the severe commercial blow to Flash. It’s Apple, a company that exerts the strictest control over its products. The company’s iPhone and iPad have rigorous standards for apps that makes Apple the sole arbiter over what can run on the devices, raising antitrust concerns. Locked out entirely is Flash, which Apple founder Steve Jobs sharply criticized as obsolete in a public statement issued last week. Jobs has some valid arguments on why Flash shouldn’t run on the iPad or iPhone: it drains battery power, has a greater tendency to crash compared to HTML websites, and wasn’t developed with touch screens in mind. 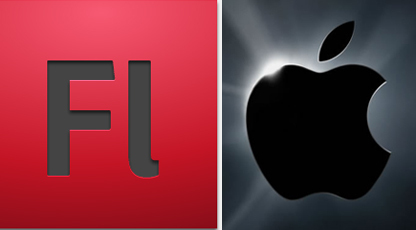 But Jobs also takes the high and mighty route by railing against Flash for not adopting open web standards. That’s highly hypocritical for a company that takes draconian measures when its own proprietary information is leaked. Lost in all this posturing is the simple fact that Flash does things you can’t do with open sourced software … at least not yet. HTML5 offers the promise of driving the kind of dynamic video and animation that Flash is known for, but that doesn’t mean it will be easy for non computer science types (designers, photographers, journalists) to code. Flash built a following for the relative ease it injects into an otherwise complex coding process, allowing developers to direct their energy towards content and design. Even Jobs concedes this point at the end of his statement, calling for Adobe to “focus more on creating great HTML5 tools for the future.” Software that topples the coding barrier of HTML would indeed be welcome, opening up web creation to billions of people who never took a computer science course. But will any company produce that software without the profit motive that drove Adobe? Apple’s proprietary products made it possible for millions to create multimedia for the first time. If we’re willing to concede Apple’s self-interest in exchange for the great hardware it creates, why must the web community judge Adobe software by such a harsh standard? 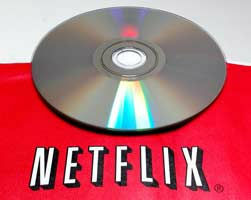 Will movie rentals see the death of the disc? Forget Facebook. For my money Netflix is the most sure-fire service for turning technophobes onto the potential of web-based content. In the last four years, Netflix has tripled its subscriber base to 12.3 million despite the availability of movies on iTunes and abundance of free content online. Count among those new users the respective mothers of my girlfriend and I. Neither has ever embraced using the web for much of anything, but both enthusiastically renewed the gift subscriptions we recently gave them. The appeal for them, as for many in their demographic, is the seemingly endless list of obscure titles unavailable at nearby stores. It’s no wonder the company is held up by bestselling technology author Chris Anderson as a shining example of the Long Tail, a business model in which companies profit not by just offering the biggest hits, but rather the vast quantity of niche titles that can now be stored and distributed at a relatively miniscule cost. Yet there’s a gaping inaccuracy in the profile of Netflix as a web-based business, perhaps the same “flaw” that makes it instantly appealing to the boomers reluctant to migrate online. The Netflix model of subscribers sorting, selecting and ordering their titles online is purely digital. But the primary method of delivery — The United States Postal Service — is something out of the 20th century. Or even the 19th. That’s a problem, given that the postal service is losing billions annually. Any of the fixes being considered by Congress, from postal rate hikes to eliminating Saturday deliveries, would have a severe impact on Netflix’s bottom line. The solution for Neflix is simple. Instead of mailing out discs, get consumers to stream movies instantly via the web, a process that has virtually zero distribution costs. The company has already tried to do this by offering a number of major titles for instant streaming and selling a special device for around $100 that plays these titles on your TV. Now the company is making some new moves in this direction. It has recently signed deals with major studios agreeing not to distribute DVDs that have just been released in exchange for getting the rights to instantly stream more titles. Netflix has also put out programs that allow video game console owners to stream movies via their Xbox, Playstation, and as of this past weekend, Wii. I tried out the new Wii program last night — with the excellent dark comedy Big Fan as my choice — and was pleased with the results. But forget about my tastes. What about my Mom’s? Will the boomer demographic raised on physical products really embrace digital delivery? Or will they flee back to the old days via companies like RedBox and the still-kicking Blockbuster? The result could say a lot about the value of producing information and entertainment in a physical form. Maybe we’re not ready to go all digital all the time just yet. In this case “the future” means web-based communications technologies the non-profit is using to tell its story. The tale itself is a compelling one — an art-deco theater that was once the vibrant center of a small town has fallen into disrepair, but a locally-driven effort could revive it as a performing arts center that would give the community a much-needed economic boost. This is a story that trades heavily on nostalgia — with photos and testimonials of people who remember the theater in its heyday — in order to project what a revitalized Reeves could mean. That approach is a tricky one to implement on the web, although the organization is trying. 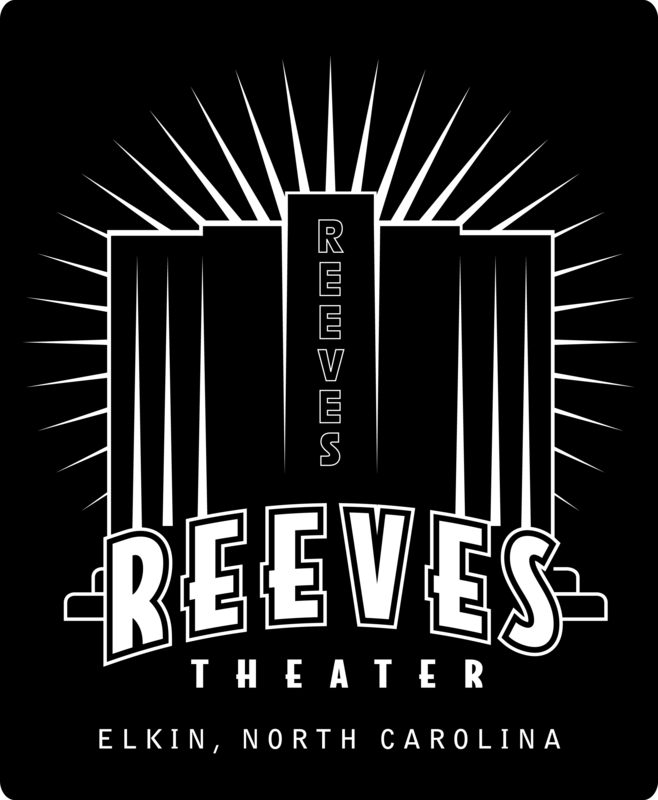 Its website is well constructed and pops up as the first hit on a Google search for “Reeves Theater.” The organization has also established a Facebook group with more than 700 members. That will soon change. I’m heading up a five-person project that will reinvigorate the Facebook site, create some more dynamic content for the website, and make sure the design and branding is consistent for online and print materials. What gives the project so much potential is the capability of multimedia to tell this story better than print. A video or an interactive photo gallery both establish a much more immediate connection than text on a page. Social media outlets are ideal for sharing memories, which are in abundance for the Reeves Theater and needed in order to motivate the restoration. It’s all a matter of bringing the past to life with the future of communications. That will maximize this organization’s capabilities for the present. 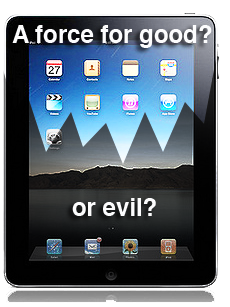 The iPad hits stores today, and in making the choice to buy one, you’re not just picking out a product. The $500-$800 tablet computer is perhaps the most polarizing device to hit the communications industry in the past decade. It has spawned both adoration and disgust among veteran tech writers. Journalists are having a field day speculating on how it might redefine the industry, with views highly mixed. Web content developers have either cried fair or foul with the iPad’s inability to run Flash, depending on what they think of the software program that runs the vast majority of animated and multimedia content on the Internet. But these are debates for tech heads and newsies. How will mainstream consumers pick their side? It won’t come down to whether it helps the journalism industry. It certainly won’t come down to love/hate of Flash. Design and functionality will play a huge role. If society is ready to abandon the click culture that has conditioned our computer use for decades, then the iPad’s slick use of touchscreen will forever change how we access and share information. The iPad will never replace a mobile phone (it’s simply too big to take everywhere) but it could replace a laptop. That gets us to the big question, a cultural query that ultimately decides whether the iPad redefines all media or fails miserably. How exactly do people want to use the web? Are they looking for an open-ended, creative experience without expectations? Or do they want a simplified, controlled environment streamlined to their established tastes? Those falling in the first category will be frustrated by the iPad’s limitations. It runs only one application at a time, can’t handle complex software and doesn’t even have a U.S.B port. Applications must be purchased from the Apple app store to make the device useful. In short, it’s pretty lousy for those who want to build their own content, ironic since the initial appeal of Mac computers was all the built-in software that let you start creating right out of the box. An iPad dominated world also severely restricts the audience for amateur content. Applications must be approved by Apple. The company’s rejection of Flash, one of the world’s most popular software tools, shows just how far it can flex its muscle to restrict what gets seen on its devices. Is this the next generation of the AOL model, which relies on herding consumers to partner websites rather than the web’s wild frontiers? Then again, maybe this is just what the general public is looking for after a decade of exhaustion trying to navigate the web’s limitless choices. If all you want out of your computer is the ability to send email, share photos and get information online, then the iPad makes life easier. Its company-approved apps will tailor web content to meet your daily needs. Information will be personalized to the extent that you’ll never feel the need to wander. And how many people really need to use a built-in webcam anyway? I can’t predict which camp attracts the majority of consumers. But the iPad will do a wonderful job of sorting, and from there we can start tailoring our communications strategies to fit the revamped model of Internet consumption. Hedge your bets and stay neutral for now. We’ll know soon enough which side wins out, and how they’ll rule the new era.